Hissho means Certain Victory. 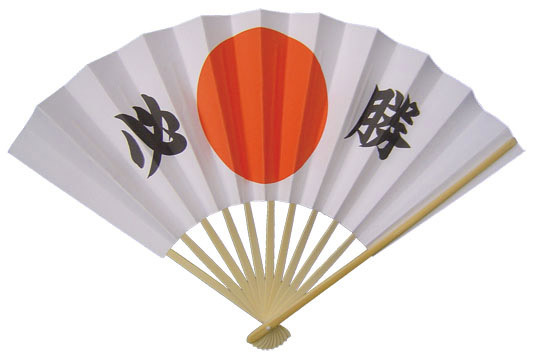 The kanji characters are written on fans or hachimaki headbands to bring good luck in sports or competition. This fan would make a great ornament for your home or office, and of course is the greenest possible way to deal with global warming!